The GIS industry uses the word change regularly but in varying contexts. We use GIS to detect change in our landscapes. We use software that requires constant change. And GIS itself is a change agent. Considering how often the word change is used, it is not usually discussed as something that organizations can manage or plan for. Past articles in this Managing GIS column have focused on strategic planning and leadership. Now it is time to integrate change into the conversation. And the most appropriate context might be how change factors in to putting together a new GIS implementation or expanding an existing one. Change impacts everyone on a personal, organizational, and societal level. It is how change affects people that determines their responses to it. Individual reactions to change may include panic, rebellion, reflection, and acceptance. Considering that organizations are made up of individuals, when a business, agency, nonprofit, or other institution implements change—from new hires and new technology to project kickoffs and retirements—there will be similar reactions. Employees might feel self-conscious and hyperaware of what is going on around them. Some may experience a sense of loneliness, even if a large group of people is undergoing the same change. Knowing that these feelings exist and might occur can help an organization manage change. GIS is certainly a change agent. For GIS to be successful, an organization must know how the technology will support its strategic plan, how it improves operations, and how it benefits the organization overall. Individuals respond to change differently. Knowing that and planning for various reactions can help leaders navigate the choppy waters of implementing or expanding GIS at the organizational level. But not everyone understands what GIS is and what it can do, so education is paramount. Explaining GIS to someone who is unfamiliar with it is not easy, yet it is necessary to get those employees to embrace the technology and participate in implementing it. Taking the time to outline how incorporating GIS into day-to-day activities can improve both individual and organizational operations is key. Describing the forces of change that are occurring—from internal forces, such as revisions in IT business standards, to external ones, such as new federal laws—will help employees understand why the GIS implementation is needed. It can be daunting to manage the concrete changes required to incorporate GIS into specific operations or even a business as a whole, but for the process to work, it is imperative that leaders and managers confront people’s expectations and clearly communicate their roles in the endeavor. This aids in establishing priorities and ensures that management can plan developmental activities, such as forming teams and brainstorming, to support those priorities. Once those developmental activities have gained momentum, leaders must then harness that energy to keep the implementation on track. Employing effective risk management methods can help organizations control change as it occurs, reducing the likelihood that staff will refuse to adopt the GIS implementation altogether. Some of the risks might include technical problems, such as unclear specifications for positional accuracy, which can lead to inaccurate analyses; financial issues, such as lack of properly trained staff who can use GIS; and organizational risks, such as unfulfilled commitments from senior management on promised training or restructuring. The best risk management plans seek to avoid, mitigate, or transfer these kinds of hazards. Avoiding risk can be as simple as eliminating untested technology or making fewer, but better, commitments. Mitigating risk can include building in contingencies or tracking the commitments that have already been made. Transferring risk can revolve around creating and using well-designed contracts for third parties. Risk management must also include monitoring the GIS implementation and coming up with a mechanism to intervene when things don’t go according to plan. When implementing GIS on an organizational level, it is imperative to constantly monitor the project’s scope, schedule, and costs. Without this, the GIS implementation risks losing acceptance, support, and participation from employees. Understanding the uncertainties, developing risk management plans, and keeping an eye on the logistics of the implementation can decrease the stresses associated with change and ensure that the new GIS has a greater chance of success. Leaders should know their organizations’ cultural landscapes. This helps them determine the best methods for communicating upcoming change with employees and finessing the often-accompanying office politics. It is important that leaders don’t hide during the communication process and address their organizations directly about change. To be effective, any correspondence about the GIS implementation should be open and invite employee participation. Every GIS implementation—whether completely new or an expansion of already-existing technology—precipitates a transition period that causes stress for all the involved parties. Leaders should not use this stress as an excuse to overcommit on what GIS can do for an organization. Acknowledging that change causes strain, leaders should schedule either group or individual meetings (or both) with employees to disclose as much reliable information as possible about the new technology, updated processes, recently developed workflows, and anything else that is pertinent to the change at hand. Group meetings can be great for providing all employees with the same information, at the same time—but they can allow vocal and negative people to set the tone if these meetings are not handled effectively. One-on-one meetings, on the other hand, allow for privacy but may inadvertently send different messages to different staff members. If leaders take the time to understand the culture of their organizations, however, they can determine which messages to deliver and when and where to communicate them. Change is inevitable. Change can be scary. And change is usually stressful. But managing organizational change like implementing GIS does not have to be scary. One must define why a GIS implementation is needed, understand the forces working for and against it, develop a risk management plan to protect the implementation, and provide the organization with clear messaging about GIS and the changes that come with it. 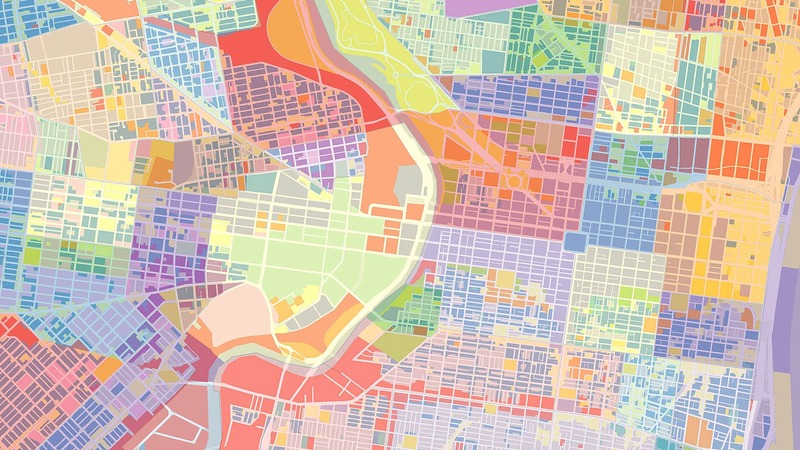 Following these steps will enable leaders to set up and expand GIS in a way that makes the technology part of an organization’s cultural landscape and helps it achieve its strategic goals. 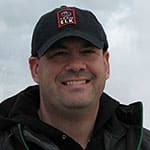 Brett Horr has more than two decades of experience working in GIS and is currently the director of GIS and technology for the Town of York, Maine. He has served as secretary, president, and ex officio of the New England Arc Users board of directors and was a member of the board of directors for the New England chapter of the Urban and Regional Information Systems Association (URISA). Horr is also a state-certified reserve police officer, a certified forensic investigator and forensic mapper for crash and crime scenes, and a Federal Aviation Administration (FAA)-certified small drone pilot.